Eyelash extensions and eyelash treatments have become quite popular in the last few years and eyelash shops are popping up everywhere. Just because these shops are plentiful, it does not mean they are all reputable. 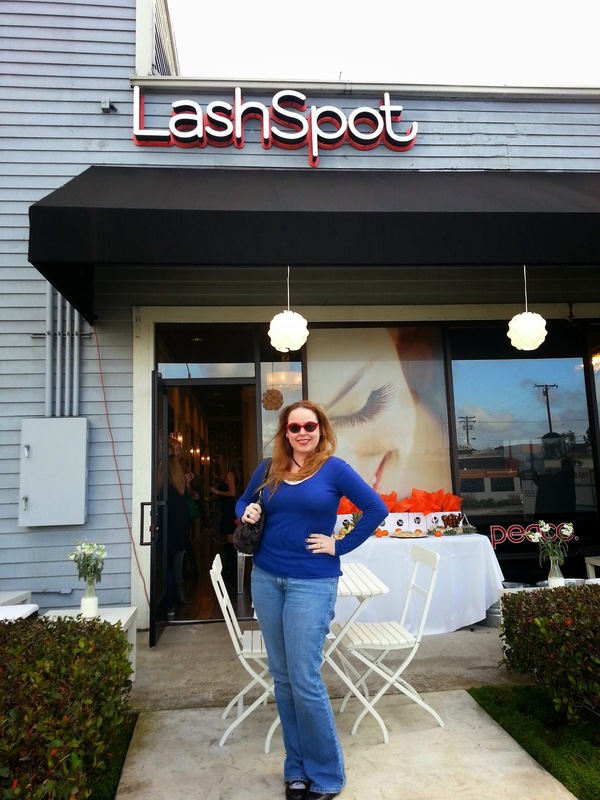 I can say that I personally had a fabulous experience at Lash Spot in Costa Mesa! I attended the special event put on by Lash Spot called Night of Beauty in which there were several appointments to get a variety of treatments. They have many different services as options on their menu including everything from mini lash application, full set applications, and even waxing, makeup applications and men’s services! While Michelle explained to me that a lot of her clients are people that have minimum lashes, such as 20-60 per eye, she also shared with me that there were people such as myself that just wanted more to have an even fuller looking set of eyelashes and that there are men as well that come in for these treatments. I was pretty nervous at first about getting my eyelashes due to the experience I had in 2005 where I had a simple lash strip added to each eye that made me look like I was crying all day. 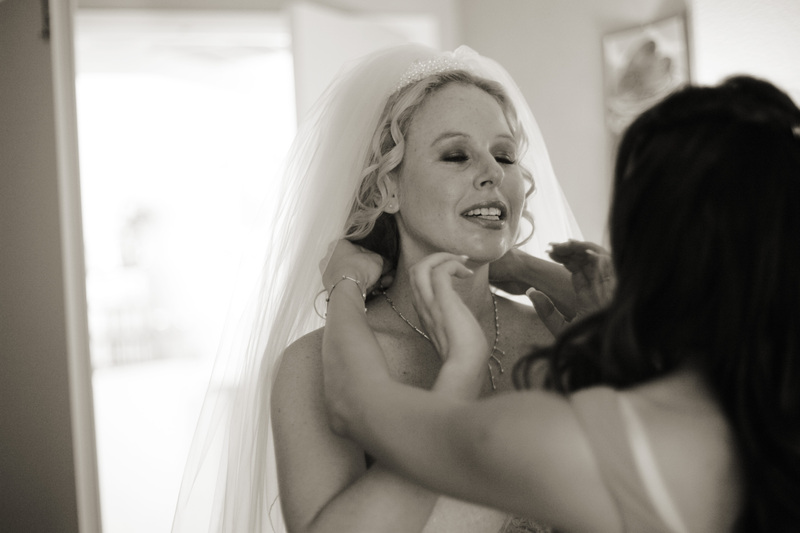 This treatment Michelle gave me was nothing like my prior experience! I will admit it was hard to keep my eyes open as she was taping down my lashes, but this could also simply be because I am not used to the process. After my lashes were taped down, the procedure only took about 25 minutes and was actually somewhat relaxing. As Michelle finished my eyes, I made my way to the mirror to check them out and they looked awesome!!! I was so impressed with my lashes and the best part was that they looked totally real!! Not only did they look very natural, they lasted on my eyes for 7-9 days after the fact and I was still able to use non-oil based mascara to accentuate them! 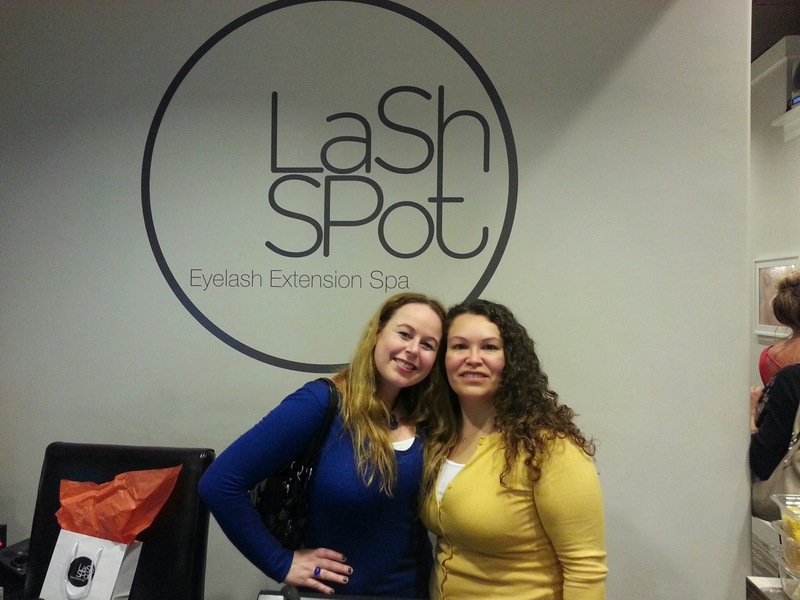 For a full menu of services offered by Lash Spot, visit their website, Lash Spot Spa. Owners Barbara Rattigan and Jennifer Russell were very helpful and accommodating in the process and they run an awesome shop…so awesome that they also recently opened a new store in San Francisco as well! Congratulations to these smart business women! 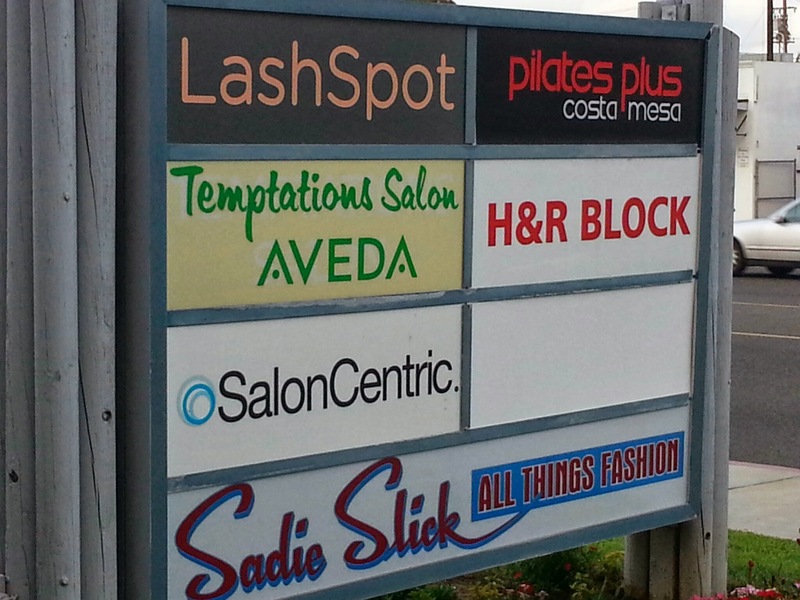 Lash Spot also offers an opportunity to join as a member to get better deals and discounts on future visits for services, as well as all retail items sold in the store at their eyelash extension spa. If you have never been to Lash Spot Spa and live in the near vicinity of either of their locations in Costa Mesa or San Francisco in California I definitely recommend checking them out. If you have ever been to Lash Spot Spa, I would love to hear about your experience below! I think, my wife would definitely love it. I will let her know about it. This looks like a ton of fun!!! I’m glad you enjoyed it!! Thanks Shari:) It was definitely a great time! I will also share with my wife. Very interesting! 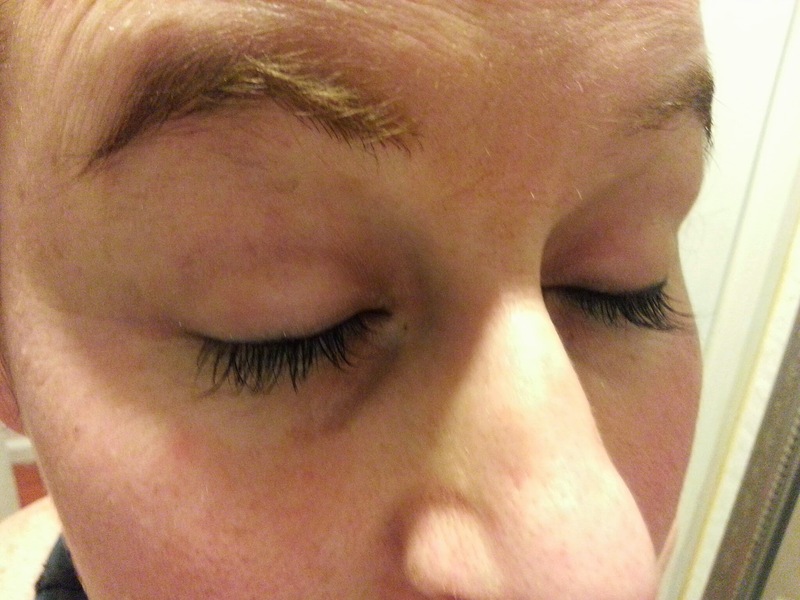 I have never heard of lash extensions – thanks for sharing! You are welcome Laurel:) You should check em out sometime! Interesting! I didn’t know there were so many places that did this. Your lashes look great! You totally should:) I would recommend the individual lashes each being put on rather than the full set of fake ones…stitching them in one by one makes them look more natural. You are quite courageous to share this here. I’m happy with Mac Zoom mascara—does the trick for me…. My lashes are all fine, but I will pass this on to my wife. Looks like a fun time for the lady’s. Thanks Bradley:) It is a great salon! I have seen these pop up and debated doing it. Thanks for sharing, so I have more information. I love a pampering day. Thank you for sharing the difference here too.